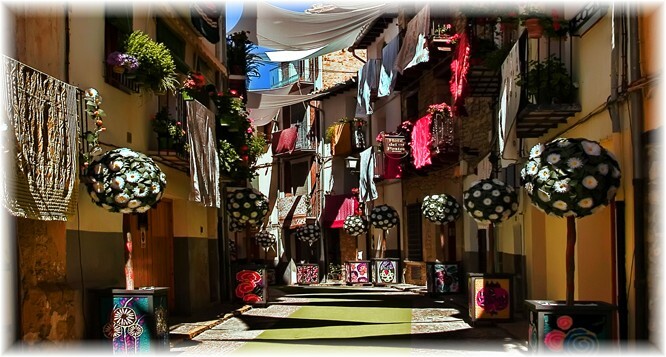 The medieval town is a surprising labyrinth : You�ll enjoy the 2500 metre wall surrounding the town, the streets lined with gothic arches, the half timbered frontages houses. 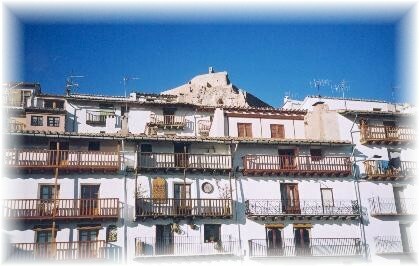 During your walk, you�ll appreciate the visit of the dinosaurs museum, the museum of the feasts, the 14th century town hall, the Santa Maria La mayor church (the porch, its remarkable spiral staircase, its renovated choir an organ). 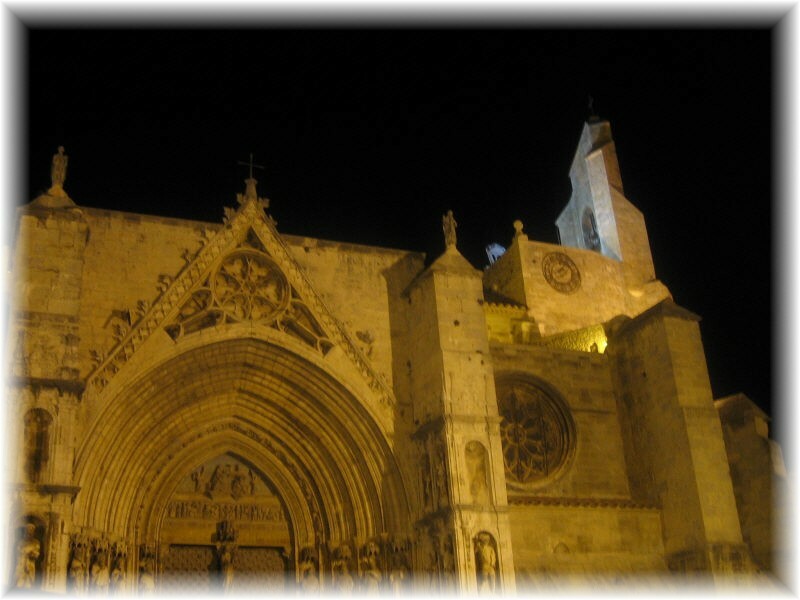 Walking through the �San Francisco� Monastery, you�ll certainly admire the ecclesiastical museum and the cloister. From the castle, you�ll be able to discover the amazing view of �Els Ports� region. 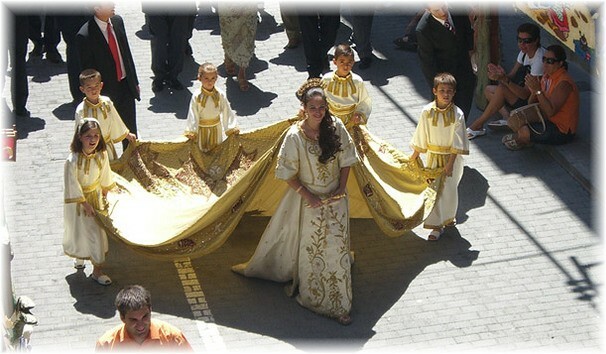 The festival is held during the second half of August, preceded by a year of preparations to make the ornaments of the streets of Morella. This work is folk art, ornamental designs that decorate the six-year tour of the processions. During the year the neighborhood do these tapestries with fine curly paper . Once set up, Morella becomes a museum for the beauty and delicacy of these ornaments.